Specific and measurable. You don’t say to somebody, “I want you to improve.” You have to be specific about the area that needs improvement and what good performance looks like. Being specific reinforces the old saying, “If you can’t measure it, you can’t manage it.” Therefore, goals have to be specific, observable, and measurable. Motivating. Not every job people are asked to do will be super-exciting, but having motivating goals helps. Sometimes all people need to know is why the task is important. The “why” explains how the person’s task fits in with overall job performance and the goals and objectives of the unit, division, organization, and customer. It clarifies how the task supports higher-level outcomes. People want to know that what they do makes a difference. That’s motivating. Attainable. It’s a false assumption that to motivate people you have to set goals that are unattainable. What really motivates people is to have moderately difficult but achievable goals. In a classic research experiment on achievement motivation, researcher David McClelland asked people to throw rings at a stake from any distance they chose. McClelland found that high achievers positioned themselves the appropriate distance from the stake through experimentation. If they threw the rings from a certain spot and made most of their tosses, they moved back. If they missed most of their tosses, they moved forward. Why? McClelland found that high achievers like to set moderately difficult but attainable goals—that is, goals that stretch them but are not impossible. People who set goals that are too easy or too difficult don’t want to be judged or held accountable. Relevant. Eighty percent of the performance you want from people comes from the 20 percent of the activities they could get involved in. Therefore, a goal is relevant if it addresses one of the 20-percent activities that make a difference in overall performance. Trackable and time-bound. As a manager, you want to be able to praise progress or redirect inappropriate behavior. To do that, you must be able to measure or count performance frequently, which means you need to put a record-keeping system in place to track performance. If a goal consists of completing a report by June 1, the chances of receiving an acceptable, even outstanding, report will increase if interim reports are required. Goals energize people when they are set correctly. Make sure your people know what they are being asked to do (their areas of accountability) and what good performance looks like (the performance standards by which they will be evaluated). 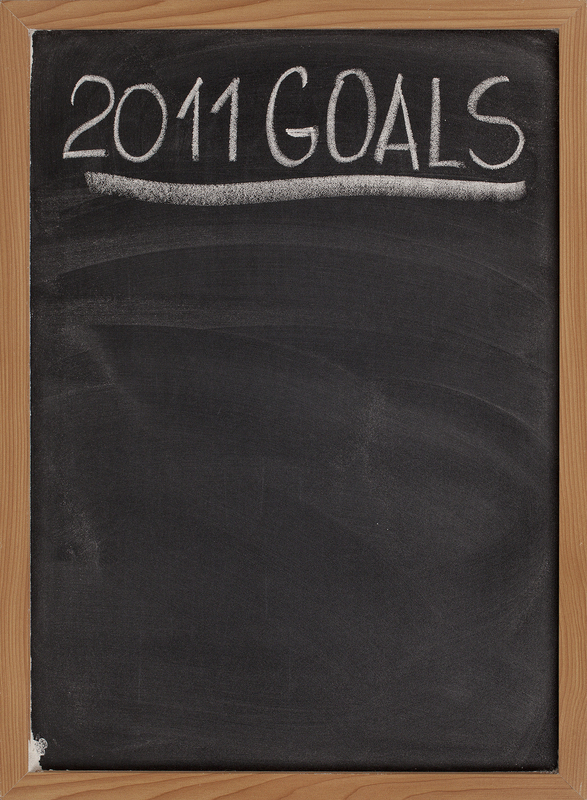 It’s a great way to get 2011 off to a successful start! December 27, 2010 in Alignment, Feedback, Goal Setting, Leading, Managing, Performance Management, Talent Management. I have posted my thoughts using SMART + tool at http://www.chrismarr.co.uk/2011/01/smart-objectives.html. I guess there are many ways to skin a cat! Wow. I didn’t know ‘M’ would be motivating. I always knew it was measurable. So I definitely learned something new. You have to set SMART goals, so you would know what to do exactly. If you set a goal that’s very hard to attain, you tend to give up when you think that you cannot attain it in time. Another thing, when planning a project, make it a point to divide it into small goals. If you have workers, delegate some tasks so you don’t have to do everything and they can help you finish it. Totally agree about project planning. You could chunk your project into small goals and run those small goals through the SMART tool. In the SMART + tool M is for three levels – Measureable, Manageable and Motivational, satisfying three ego states (Parent, Adult, Child). See http://chrismarr.co.uk for more details. Thank you for posting this. I tend to be over ambitious when it comes to setting goals, which means that I never meet them and then feel discouraged for not achieving impossible tasks. I need to keep these characteristics in mind. Thanks again!